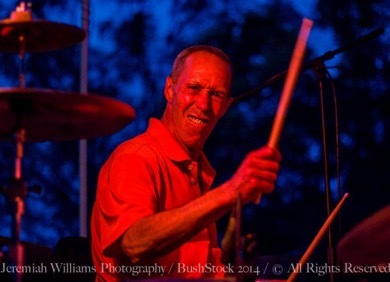 Steve “Schpaybo” Spirko has lived the rock music scene for three decades. Performing with the likes of Cesar Diaz, GE Smith and Eric Cartwright, Schpaybo has been pleasing crowds with his explosive performances since the early 70’s. 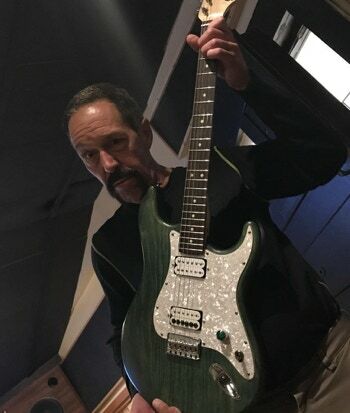 Growing up in an era where Rock ‘n Roll ruled, Schpaybo was influenced by all the greats such as: Jimi Hendrix, Eric Clapton, The Who, Johnny Winter, Deep Purple, Ted Nugent and blues legends Howlin’ Wolf, Willie Dixon and Muddy Waters. In 1996 after being disappointed by wimpy sounding Compact Discs Steve formed Spearco Records. His goal being to produce superior sounding discs. Live drumming being his forte, in December of 1995 he won ABC radio’s Z-ROCK Greatest Drummer in The United States Competition. Schapybo’s strong rhythmic background from drumming gives him a unique guitar style as shown on his first well-received release “Schpaybo”. Schpaybo wrote, arranged, produced, as well as performing on his first solo endeavor, which gained him semi-finalist status in Musician Magazine’s Best Unsigned Band in America in 1997. In an era when most music sounds the same, Schpaybo’s high-energy full-throttle rock has an unique larger-than-life sound that stands alone in it’s originality and explosive content. A Schpaybo record has been produced in a way to sound larger and fuller than other albums. The production quality and sonic superiority are at the forefront of the rock music industry.